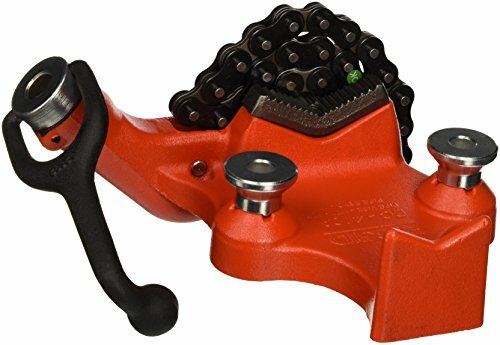 Hold pipe and tubing securely in place with the RIDGID 40195 Top Screw Bench Chain Vise. The bench vise has the crank handle conveniently anchored to the base. A handy side pipe rest and bender help steady the pipe while providing leverage. Built for longevity, the pipe vise has a rugged cast-iron base for excellent durability. The BC410 bench vise has a 1/8-inch to 4-inch pipe capacity. Model BC410P is available for use with plastic pipe and tube.